For a fairly urbanized state, Connecticut is rich with places to enjoy and learn from the outdoors, including Audubon centers, science and nature centers, aquariums, observatories, and arboretums. Highlights of places where visitors, children, and families can enjoy forests, plant and bird and sea life, walks, and family activities include the Connecticut Audubon Society Birdcraft Museum in Fairfield, Peabody Museum of Natural History at Yale University, Bull's Covered Bridge River Walk in Kent, Science Center of Eastern Connecticut in New London, and the Dinosaur Place in Montville. If variety is the spice of life, things are really heating up at the Beardsley Zoo, where visitors can see and learn about more than 300 animals, from newts and desert scorpions and boa constrictors to pygmy goats, bison, red pandas, leopards and two-toed sloths. Many endangered and threatened species are featured, including the Siberian tiger, ocelot, red wolf and giant anteater. Programs for children, from tots to teenagers, are offered, as well as scavenger hunts with special themes like animal habitats, and hikes. You can grab a bite to eat at the Peacock Cafe or enjoy your lunch outdoors in the Picnic Grove. The zoo also offers strollers for rent and fun rides on a colorful carousel. Get closer to marine life than you ever thought possible at Mystic Aquarium. Travel our indoor and outdoor exhibits to encounter thousands of creatures including beluga whales, African penguins, colorful fish and more. Be thrilled – or chilled – by the funky features of over 30 different species of amphibians. Touch sharks, stingrays and reptiles or gain a deeper appreciation for marine life by participating in an encounter program. Peek into our Animal Rescue Clinic and witness the efforts made to rescue and rehabilitate stranded seals. Learn how you can live sustainably during one of our daily trainer talks to discover how you can help in conservation efforts locally, nationally and even globally. 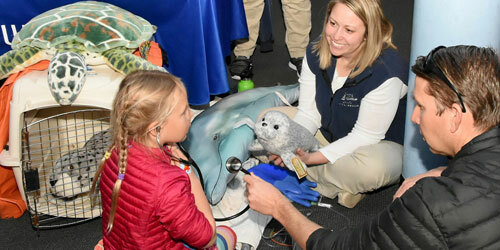 Then, travel back in time to encounter breathing, clawing, roaring dinosaurs in ‘Jurassic Giants.’ Plus, enjoy special events, activities and more throughout the year that make Mystic Aquarium a destination worth revisiting often. SEA more at MysticAquarium.org. This 285-acre nature sanctuary in the back country of Greenwich has 7 miles of walking trails, nature exhibit displays, a children's learning center, a nature gift shop and nature arts gallery. Nature programs year round for all ages. Yale University uses this forest for study and field work. Fishing is available in the forest. The blue-marked Nipmuck trail runs through the forest for hiking. The vast trail system on this property -- which includes some managed forest areas -- includes trails with printed brochures that explain the plant life along the trail. Great place for enjoying nature and observing wildlife. See full description of James L. Goodwin Forest. Once a small family-owned dairy farm, the park is laced with two and one-half miles of nature trails. The land encompasses 104 acres of wooded hills and grassy fields bisected by streams, a two acre pond, wet meadows, and an upland swamp. A butterfly/hummingbird garden and a woodland wildflower and fern garden grace the visitor center. Also, soccer, baseball, and softball fields; several acres reserved for community gardening; and a large playscape for younger children. Hours: Daily sunup to sundown; interpretive center open 9 a.m. t o 5 p.m. daily except holidays. Enjoy a hiking and cross-country skiing on refuge trails. The area provides ample observation areas for both general nature study and birding in particular. Interactive natural history museum, hands-on exhibits for children, live animals, trails, playground and a gift shop are all part of this 62-acre wildlife sanctuary. Admission: Adults and children older than 12, $7; children and seniors, $5. Grounds and outdoor bird enclosures free. Museum focusing on Eli Whitney's life, his inventions and his legacy. In addition to historic exhibits, the museum also holds a water learning lab and outdoor study areas. The barn, built in 1816, is the site of special events throughout the year. Hours: HOurs change seasonally; call ahead. Admission: free; charge for programs. Information: www.eliwhitney.org. Hiking trails dot the landscape of this nature conservancy. Great for bird watching. Can light be bent? Can sound waves be seen? Young and old can explore hands-on exhibits that will answer these questions... and more. Even have a birthday party or bring a group. Located in Connecticut Collage Arboretum with hiking trails and picnic tables. Open Tuesday through Saturday 10 am to 8 pm and Sunday 1 pm to 5 pm. Members FREE. Non-members: Adults $6, children under 12 and senior citizens $4. Nature preserve with hiking trails and river walks. There are also special programs scheduled throughout the year, and live farm animals on the premises in the spring, summer and fall. Set on 146 acres, the nature center has numerous walking and hiking trails. The area offers great opportunities for birdwatching and observation of geology. Regular walks and programs are scheduled throughout the year. Gift shop on the premises. Located on 149 acres of state-protected land, the Woodcock Nature Preserve includes a pond, wetlands and three miles of trails through woods. The center keeps many living local and exotic creatures including snakes, frogs and lizards. A few injured birds of prey live at the center. Trail map. Hours: Monday-Friday and most Saturdays from 9:30 a.m.-4 p.m.; summers, Monday-Friday only. The trails are open daily from dawn to dusk. Dennis Farm Dennis Road Pomfret, CT The Nature Conservancy maintains this two-mile trail, which is an old farm road, through former farm property. It is now mainly a forest of oaks, The Route passes a beaver pond and returns by way of Old Kings Highway, a grass-covered walk. Also a good site for cross-country skiing and bird watching. This nature center features walking trails, live animals and an Indian longhouse. Classes and special programs are also scheduled periodically throughout the year. Hours for the Center: Tuesday-Saturday, 10 a.m.-5 p.m.; Sunday, 1-5 p.m.; closed Mondays except July and August. Trails open dawn to dusk. Open: Tues-Fri, 1-5 pm; Sat, 10 am-5 pm; Sun, 1-4 pm; Closed the last week in December. Maintained by the Audubon Society of CT, this science and nature center features exhibits on area wildlife and plants, and a hands-on area for children. A gift shop and programs are available year-round. The center is located next to Earle Park, a 48-acre outdoor setting with numerous walking trails. This park is home to a farm, a collection of exotic animals, a system of trails, science exhibits and programs led by the New Britain Youth Museum. Open year-round, Tuesday-Friday, 1-4:30 p.m. This wildlife sanctuary features a walking trail that leads to beautiful, scenic waterfalls. This wildlife sanctuary and museum is on 4,000 acres of diverse habitats and 35 miles of trails. The Little Pond trail is a one-mile wooden boardwalk weaving through wetland areas and around a pond. The Nature Museum features beautiful dioramas and experiential exhibits including a cave filled with glowing minerals, working honey bee colony, life size beaver lodge, digital microscope, and a children’s corner. 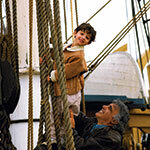 Enjoy family and adult programs, including guided walks. Open: Grounds open year-round, daily. Museum is open Monday-Saturday, 9 a.m.-5 p.m.; Sunday, noon-5 p.m. Closed major holidays. Take a fascinating look into the science and nature in the area. Set on 40 acres, the nature center features gardens and a solar-heated greenhouse, as well as many trails, exhibits, an arboretum, live animals, and a maple sugar shed. Hours: Grounds open dawn to dusk daily; buildings and officer open Monday-Saturday, 9 a.m.-4 p.m. Donation requested. This equine rescue organization houses horses it has saved, holds information events, treats injured animals and even offers animals for adoption. Visitors can take a tour of the facility and feed horses. Trail rides can be arranged with advance reservations. Center offers workshops, exhibits, nature activities, and lectures for the general public. Through hands-on programs, families and kids can enjoy learning about nature and the environment. Throughout the year, the center offers special weekend programs, nature walks, and family workshops. This nature park features educational and hands-on exhibits, including live animals and scheduled programs. A log cabin on the site has a library and gift shop. This center has a natural walking trail and exhibits featuring live animals. Childrens programs are held year round. This farm was owned by naturalist and author Edwin Way Teale. There are many nature programs held at the site, as well as three miles of trails for walking. This nature center offers many recreational and educational programs for children and adults, including nature trails, seasonal festivities, kids’ programs, and a community garden. Families can roam the trails with a guide, take classes about flora and fauna, and join seasonal events like maple sugaring. Check for seasonal changes in hours and programs. This wildlife conservation area is popular for enjoying nature, birdwatching, walking, and deer hunting, in season. It includes several interest ecosystems, including forests, salt marsh, and wetlands, Four miles of trails are available for hikers and walkers. Interpretive signs help educate visitors about the coastal region of Connecticut. This wildlife sanctuary is used as an outdoor laboratory by the University of Connecticut. Open to the general public. This trail is blue-blazed and extremely popular with hikers. Protected area is popular for bird and wildlife observation. See full description of Devils Den Preserve. A scenic part of the Appalachian Trail. Hikers can enjoy the Bull's Bridge Scenic Trail loop, featuring views of waterfalls and gorges down below on the Housatonic River. The covered bridge was built in 1842. The trail follows the Housatonic River to Ten Mile River Gorge, and then up to the top of Ten Mile Hill. Directions: At the intersection of routes 341 and 7 in Kent, follow Route 7 south for three miles; turn right onto Bull's Bridge Road; cross the first bridge; go through the covered bridge; cross a third bridge, and park on the left White blazes mark the entrance to the Appalachian Trail. The entrance to Bull's Bridge Scenic Loop is between the covered bridge and the first parking area and is not blazed. Moderate difficulty. Bowman Observatory of the Astronomical Society of Greenwich is open for public use on second and fourth Tuesdays of the month, weather permitting. General hours are winter, 7-9 p.m.; spring and autumn, 8-10 p.m.; summer, 9-11 p.m. Admission is free. See Astronomical Society of Greenwich newsletter. This planetarium and observatory is home to one of the biggest telescopes in the country. Programs and events for children and adults are held there throughout the year. Admission: $3.50 adults, $2.50 seniors and children. This park has 473 acres of land and recreational facilities, including an interpretive nature center, 12 miles of trails, and seasonal maple sugaring. This park is a birdwatcher's paradise: Recent bird sightings include Grasshopper Sparrows in Long Field, a Merlin Falcon near the windmill; an Eastern Phoebe in the woods behind the Organic Garden; a Turkey Vulture above the picnic site; and an American Bald Eagle on Pond Trail. A Red-headed Woodpecker has been spotted by the ravine; this bird is endangered in Connecticut. Sponsored by the Westport Astronomical Society. Call ahead, no admission charge. Visitors to this natural preserve are treated to a beaver marsh, an observation tower, and a waterfall. Walking and hiking trails feature information signs and demonstrations of wildlife management practices. Hours: Year-round, dawn to dusk. Discover live owls, turtles, frogs, and snakes in new natural history exhibits. Experience “A Night in the Meadow” theatre, hike up to 8 miles of trails on beautiful 300-acre sanctuary, and view birds of prey in outdoor flight enclosures. Excellent birding; picnic areas; wildflowers; gift shop. Open daily. Adults $6, Children 4. 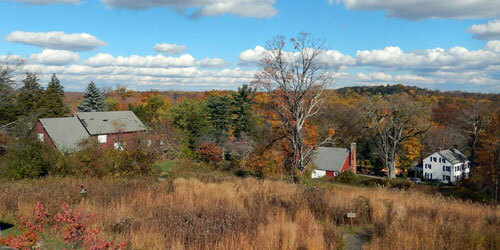 This preserve begins 1,000 feet north of the Post Road on the eastern side of Mianus Pond. It is a haven for hikers, with undisturbed woods and a steep shoreline and lovely views. Foot access is from the northern ends of Westview Place and Cary Road. To get there: Take U.S. 1 toward Stamford; after leaving Cos Cob and crossing the Mianus Bridge turn left onto Cary Road. Mianus Park is on Cary Road. Hours: Year-round, daily, daylight hours. This 52-acre nature preserve and nature center is operated by the nearby Lutz Children's Museum. The property has a pond, a covered bridge, and two easy walking trails totaling about 3 miles of walking distance on dirt paths. Hours: Trails are open dawn to dusk. Center open for museum activities and by arrangement. Nature trails meander through gardens, woods and around ponds. Watch for a wide variety of plants, birds, bobcats, beavers, river otters, and deer. Many migratory birds use the property as a lay-over point. The Visitor Center houses the Nature Store, Natural History Museum, and Exhibit Room with live animals and displays and a Children's Adventure Center. Gift shop and book store. Hours: The Visitors Center and Nature Store are open year round, Tuesday-Saturday, 9 a.m.-5 p.m.; Sunday, 1 to 5 p.m. The building is closed on all major holidays. These one mile trails are terrific locales for bird watching. The trails are on the site of the Quinebaug Valley Trout Hatchery. Visitors will find woodland and swamp environments and a pond on 63 acres. There are several ecology trails, a swamp walk, library and greenhouse. Trail map. Hours: Open year-round, daily, 9 a.m.-5 p.m.
Several blazed hiking trails are situated on this site. Historic museum highlights natural history of the state with dioramas, wildlife exhibits, and dinosaur footprints. Adjacent 6-acre sanctuary with trails. Hours: Tuesday-Friday, 9 a.m.-1 p.m. The six-acre Birdcraft Sanctuary is open daily, year-round, from dawn to dusk. Experience nature, science and the outdoors at this 118-acre site. Includes New England working farm, hiking trails, picnic area, nature's playground, boardwalk (accessible to wheelchairs), galleries for interactive exhibitions with hands-on area for children, two stores, special events, planetarium. Observatory Friday evenings (weather permitting). Check website for hours and admission fees. Information: www.stamfordmuseum.org. Many special programs are scheduled here. Visitors can enjoy nature walks that feature wildflowers (seasonal), a bog and an arboretum made up of nut trees. The Center's trail house features nature exhibits and a gift shop. Hours: Monday-Saturday, 9 a.m.-5 p.m.
Dinosaur Park features authentic dinosaur tracks that are 200 million years old. These are protected under a dome, which also houses exhibits and special programs that are held throughout the year. Visitors with their own materials are permitted to take plaster casts of the tracks. Hours: Grounds are open year-round, daily, 9 a.m.-4:30 p.m. Trails close at 4 p.m. Exhibit Center is open year-round, Tuesday through Sunday, 9 a.m. to 4:30 p.m. It is wheelchair accessible. Admission: Admission is charged for the Exhibit Center only. Adults over age 13, $6; youth age 6-12, $2. Wildlife area with fishing, hiking and small game hunting. 	This center sits at the foot of West Rock Ridge and includes 40 acres of woods and fields, and hundreds of different plant species located along interpretive trails that have been strategically located. Wintergreen Brook, with a waterfall, gorge, and pool, moves through the property Good place for bird watching. Picnic grove. Open sunrise to sunset. Map. Set on the Housatonic River and Long Island Sound, this natural haven is one of Connecticut's best bird-watching spots. Admission: $3 adults, $2 children under 13. This nature center features a variety of self-guiding trails, as well as interpretive exhibits and a nature library. The 70 acre sanctuary is home to a variety of species. Hours: Wednesday-Friday, 2-5 p.m.; Saturday, 9 a.m.-5 p.m.; Sunday, 1-5 p.m.
On this site visitors will find exhibits, a library and a gift shop. 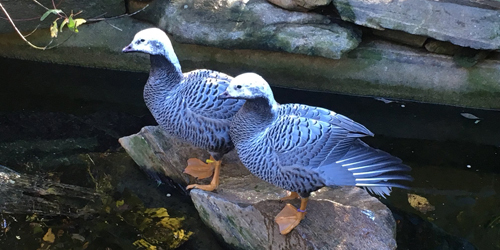 In addition, there is an injured bird compound where visitors can observe the treatment and recuperation of birds that have been harmed in the wild. The 160 acre Larsen Sanctuary has many trails that wind through the woods and around ponds, including walks for the blind, elderly and disabled. Hours: Year round, Monday-Saturday, 10 a.m.-3 p.m.